Scroll down the page to see a FREE PREVIEW, blog entries and international editions. Click on the image above to read ta FREE PREVIEW of the Prologue, set during the Battle of Pydna in 168 BC when Rome destroyed the power of Macedonia and set the stage for empire. 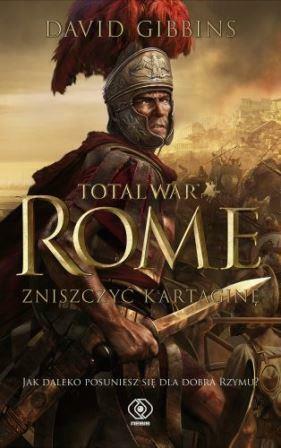 TOTAL WAR ROME: DESTROY CARTHAGE is a self-standing novel, written for readers of historical fiction who may have no knowledge of the Total War games as well as for fans of the games. The setting in the Third Punic War was a pivotal point in ancient history - there is no higher drama than the events leading up to the Roman destruction of Carthage in 146 BC. The historical personalities who drove those events are the main characters in the novel, which is designed to stand alongside other novels set in ancient Rome and be accessible for readers who may have little knowledge of this genre or period in history. 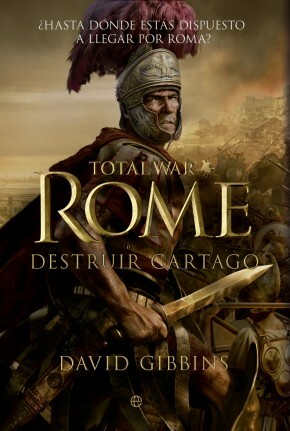 DESTROY CARTHAGE is the official tie-in novel to the Total War: ROME II game, part of the multi-million selling Total War franchise from Sega. 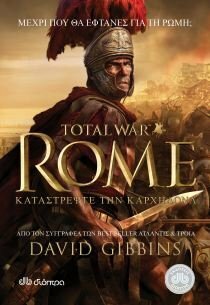 The novel is a work of historical fiction set during the time period of the game, providing a vivid picture of the historical reality behind the strategy and battles of the period - in this case the tumultuous years of the 2nd century BC when Republican Rome stood on a knife-edge, poised between empire and annihilation. 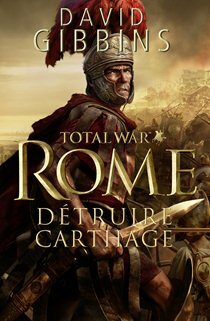 The story of Rome’s struggle with Carthage is truly a story of total war, of a conflict spread over more than a century in which the utter destruction of one side was the only possible outcome. The novel focuses on the final decades leading up to the fall of Carthage in 146 BC, a time when some of the strongest characters in Roman history held sway: Cato, the senator who famously called for Carthage to be destroyed, 'Carthago delenda est'; Hasdrubal, the defiant Carthaginian leader, prepared to defend his city at whatever cost; and above all Scipio Aemilianus, the Roman general who for a few moments atop the ruins of Carthage held the world in his hands, and could have been the first Roman emperor. I’ve imagined these characters through the eyes of a fictional legionary, Fabius, who accompanies Scipio from his beginnings in Rome through the wars in Macedonia and Spain to the final showdown at Carthage. The story has been very close to my own work as an archaeologist at Carthage itself - I’ve excavated smashed pottery and bones from the destruction of the city in 146 BC, and dived on the submerged foundations of the harbour entrance where Scipio would have stepped ashore before ordering the final assault. Being that close to real history is what makes my novels come alive for me. I took this photo of Carthage while I was directing underwater excavations just off the ancient land-locked harbour, visible in the centre of the picture. Over the Bay of Tunis you can see the distinctive twin peaks of Bou Kournine, sacred to the ancient Carthaginians. To the right of the harbour is the tophet, the site of child sacrifice. The view is from the slopes of the Byrsa, the last line of defence in 146 BC, the same hill with the temple atop that you can see on the jacket image of the book with the Roman forces advancing towards it from the ancient shoreline. The image in this photo forms the setting for a climactic battle scene in the novel. Over 100,000 samplers with the Prologue were produced. Click on the images below to read more, and follow my Facebook page for updates on my books and archaeological projects. DESTROY CARTHAGE has been published in 11 languages, in print editions and ebooks. Click on the images below for links to Amazon and publishers.